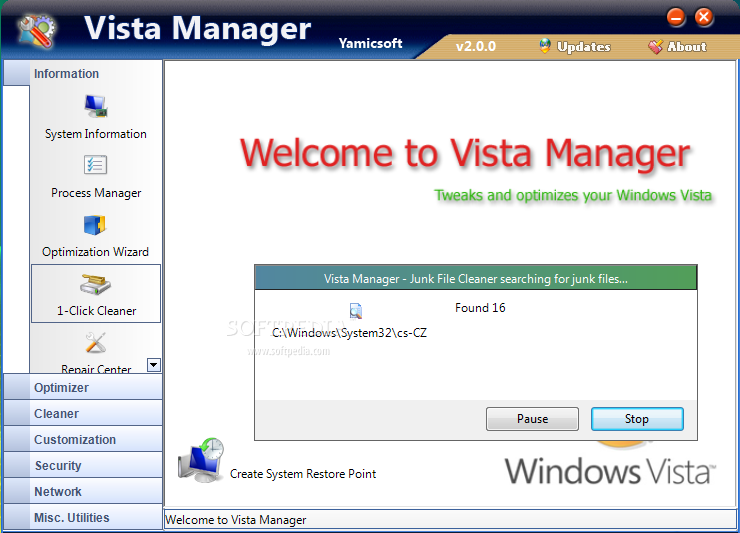 Why Should I use Vista Manager? Windows Vista is the new Operating System for home users and professionals alike. 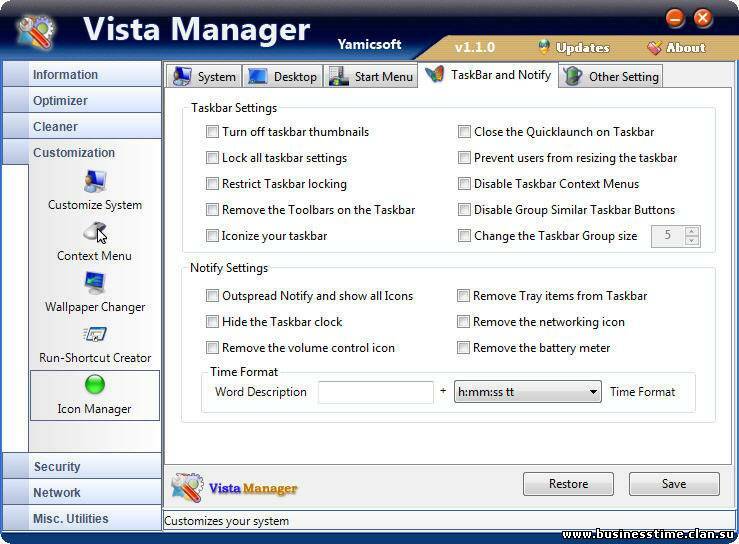 Windows Vista brings clarity to your world, so you can more safely and easily accomplish everyday tasks and instantly find what you want on your PC. 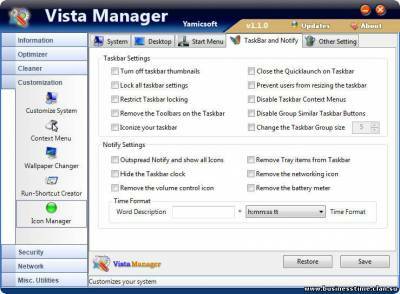 Vista Manager is the powerful software tool to tweak and optimize your Windows Vista, it bundles more than 30 different utilities in one and help your system faster and more stable, secure and personal!